Farming is a profession of hope. I always dreamt of becoming a farmer. I developed this fascination when I visited some villages while on a project in college. Getting out of the corporate world is like getting out of spiders’ web. So, to keep my passion alive, I had lots of pots and plants in my terrace. Big ones, small ones, green and purple, fancy pink flowers - All. By virtue of the fact that I had worked with some of farmer based companies, I happened to get an opportunity to design a business plan for a farmer practicing organic farming. 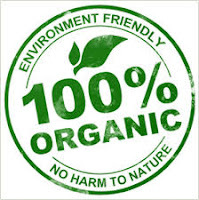 The only information that I had on organic farming at that time was the fact that organic vegetables and grains were available in malls and online platforms. It was then, that my research on Organic Farming started. The more I read, watched and heard on Organic farming, the more interested I became in exploring organic farming myself and thus decided to join a Zero budget terrace farming workshop. I learnt, that the green revolution brought about high yield - by use of artificial fertilizers, pesticides and high yield crop varieties. It is interesting to note how the heavy use of chemical fertilizers and pesticides was leading to contamination of vegetables and grains. This lead to life threatening diseases like cancer. The bigger impact on the economy is that with passage of time, the use of fertilizers and pesticides is increasing in quantity, giving lesser yield and resistant pests, leading to high input costs, which are not being recovered by farmers, ultimately leading to suicides. In contrast to this, the Zero budget natural farming uses natural fertilizers to make soil healthy, use natural replacements for pesticides, understand and use inter cropping, and no use of hybrid seeds to give much better yield as compared to the chemical farming. It uses the bacteria and living beings in the soil to bring about tilling of the soil and restore certain nutrients to the soil from the atmosphere. Along with that it uses Desi breed cow dung and urine to prepare concoctions which improve the fertility and nutrition levels of the soil. So I decided to experiment it on my terrace. I was facing extreme pest attack on my plants and had tried all types of pesticides on them, without any results. It only got worse. Because of this, I had only ornamental plants on my terrace. No fruits or vegetables. Nothing to loose, I prepared the pot beds in accordance to what my teacher had taught me and prepared the soil and planted the plants. Farming looks mighty easy when your plow is a pencil and you’re a thousand miles from the corn field. It is only when you get down to it, you realize the amount of skill and labor required. Apart from my regular ornamental plants, I wanted to try out fruit and leafy vegetables as well. Without sowing a single wheat, you would not harvest thousand ones. So I explored online and bought a box of seeds of various types and put them in those pots. Although I forgot in which pot, I planted which seed, I watered them regularly and waited patiently for the sprouts to appear. I used to observe them everyday and wait for them to grow. Every blade of grass has its Angel that bends over it and whispers, ‘Grow — grow!’ That’s exactly what I was trying to do. I wanted to harvest chilies, spinach, bitter gourd, beans, brinjal, tomatoes all. As was taught I started preparing the concoction as well, the enzymes to keep the plant healthy and the mulching to keep the soil moist and healthy with bacteria. And in a week’s time, I saw those tiny green little sprouts coming out from the soil bed. I was exhilarated, in-fact over excited. I wanted to give them all the nutrition to make them healthy and grow fast. Consequently, I experimented and added all bright fruit peels, with their seeds to the pots – in anticipation of giving them more nutrients. To my utter dismay, in a week’s time, it collected enough flies on it to last a lifetime, which started getting into my house. It seemed irrepressible and I had no clue how to control this. Then I referred back to my notes of the training. It was specifically told not to put uncovered fruit peels on the pots since it would attract flies. I then covered my pots with another layer of soil and in a few days was able to control the disaster. Good riddance to bad rubbish. In the process, I kept on observing the sapling grow along with the small creatures on the soil bed crawling here and there. I continued watering and giving nutrients to my plants and in another two weeks, I saw lush green spinach plant grow up to become a young one. I discussed on my farming group immediately and was suggested that I can start harvesting leaves and new ones will start growing further. My first baby, didn’t want to harvest it so soon. Like a proud parent, I used to look at them everyday and dote on them. And then, one day, I saw it! white at the base, it was a radish plant!! As you sow, so shall you reap. 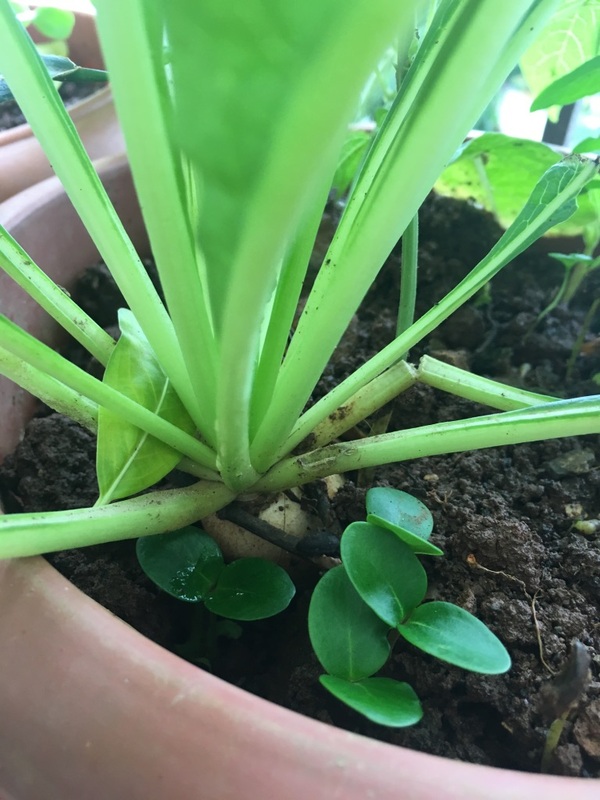 As it is an exciting and fulfilling journey to see your own babies grow up, so is to see your plants grow up and bear the fruits of your hard work and love. It’s a slightly laborious but very interesting and relaxing activity, which bring you so much closer to the nature. All in all, its completely worth it to have a kitchen garden on your terrace to reap the fruits!